Your talent, your hands, your tools � that�s all it takes and you�re off. Clippers and Cutthroats Paul Cowen and Damon Rogers began their roving education business in 2010. Paul explains �We were recruiting these kids coming out of the local training colleges without a clue. They weren�t being taught by barbers. 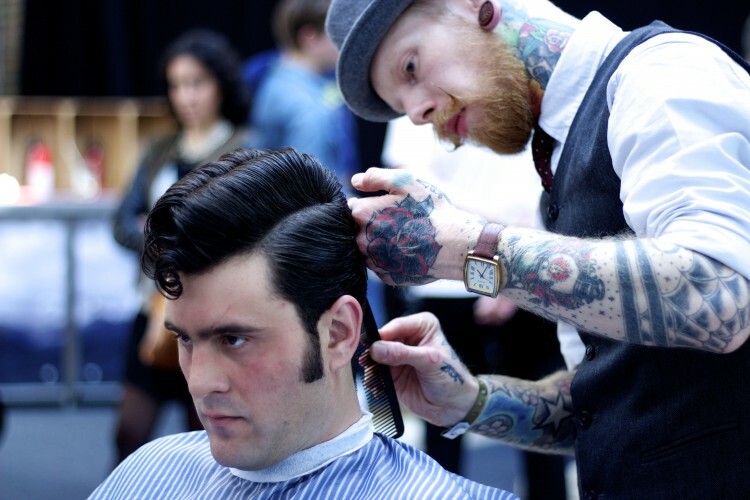 We contacted colleges and the North East�s training provider and offered barbering and shaving courses.� Clippers and Cutthroats are now on the road at least twice a week and will travel to any location to train up to six shop or salon team members at one time. Damon explains �It�s cost effective for the customer and it means that everyone attending their course is already in their comfort zone so learns faster.� The training days are structured to allow demonstration and hands on work sessions that allow instant skill transfer. @ClippCutt/clippersandcutthroats.co.uk. Wolfcuts Barbers Francesca Webb is an experienced mobile barber with a longstanding clientele that appreciate her flexibility but Fran is now launching a mobile barber shop trailer. The van made its debut at the 23rd �You�ve Been Nabbed Rally� in support of the National Association for Bikers with a Disability (NABD), a registered charity dedicated to ensuring that disabled people can enjoy the freedom of independent motorcycling. Fran says �Part of my plan for the trailer is to bring barbering services to people who can�t always get out to a shop, sometimes due to mobility issues or serious illnesses. Many of the people who attended the NABD rally find this is the case, so I thought it would be perfect to bring barbering to them. I�ve been a member of this charity for a few years and a biker since I was 17. I had power, hot water and everything where I wanted it. I offered free haircuts to any marshal but asked them to make a donation to the charity pot!� FB Wolfcuts/@FrannyWolfy.